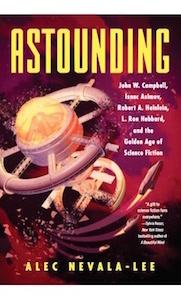 Note: This is the latest entry in a series in which I highlight works of speculative fiction that deserve to be rediscovered, reappraised, or simply enjoyed by a wider audience. You can read the earlier installments here. I can get anything I want any time I want it…Moreover, anybody can use my system…I go after what I want obliquely, by seeming to aim at something else, but grabbing sideways at what I really want…I can be aiming at money, fame, love, an easy life, or influence—but I wouldn’t show which one I really wanted. You’d have to guess…The main thing is to keep your mouth shut about what you really want. The next most important thing is to get out of your social class. You can depend on your own class or the one just above it to defeat you…But if you break out of your class, the one you’re crashing isn’t sure of your aims, and can’t crush you so effectively. He concludes: “If you’re trying to get a job as a clerk, your objective is pathetically simple to figure out. You want to eat. But if you go after a hundred-thousand-a-year position, with a crack at the boss’s daughter, it gets tougher to analyze your goal.” And that’s particularly true if you manage to break through the barriers that your social class has imposed. Running Hell on an efficient basis happens to be my business, and I run it the same as any other businessman runs his business, by practical, common-sense methods…I’m immortal, of course. Hence I can control the world’s money simply by investing a little and waiting for the interest charges to pile up. Outside of that, I can run the world merely by a magnificent system of obtaining information, an understanding of men’s desires, and a knowledge of how to use pivot men. And, of course, the ability to start and stop the flow of money. In most cases the last can be done without a penny. Except in unusual cases, I never concentrate on tormenting a single person. That would be inefficient…The chronic state of crisis, never quite reaching war, which I have labored incessantly to create, is kept simmering. The world was growing apathetic, but now there is a very gratifying turmoil. Millions of people have been made afraid and unhappy. Others have had their hopes raised. At the proper moment those hopes will be dashed, and they, too, will be unhappy. Millions out of work; increase in the relief budget attacked by the economy lobby—and effectively, since they were now so powerful; hunger marches, riots, strikes, lockouts, freezing of credit. Out of all that torment and strife there should have been a little happiness. The isolationists and the economizers should have felt jubilant. But actually they were as frightened as the rest of the country…It seemed that people were unhappy no matter what you did. I’ll be appearing tonight at the Tuesday Funk reading series at Hopleaf Bar at 5148 N. Clark St. in Chicago at 7:30pm. Hope to see some of you there!